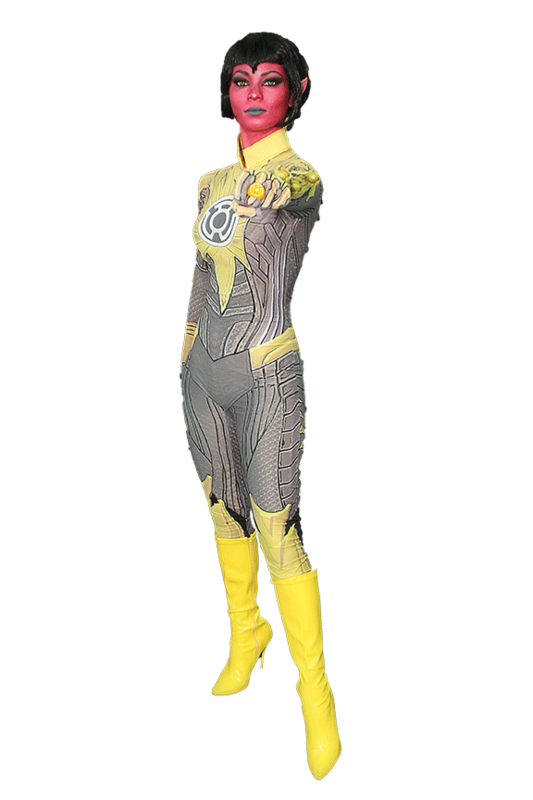 Creating Brand Awareness for Your Cosplay. Our next featured cosplayer in this series is @veganspidey! We love him and think he is brilliant because of how naturally and clearly he communicates what he’s all about. He has created a personal brand that is really sincere, easy to relate to, and engaging. By creating a clear and consistent personal brand – you can create brand awareness for yourself and that gets people’s attention. 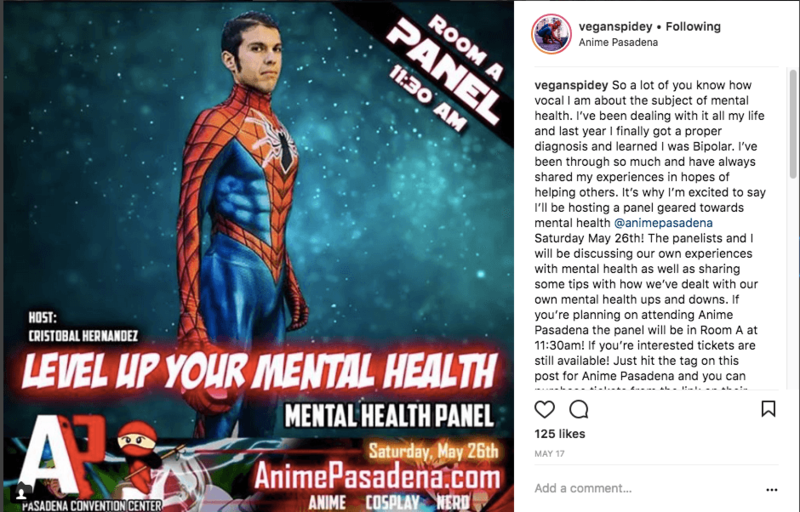 Read more to learn how @veganspidey does his thing! How Cristobal got our attention: he was tuned into things we were working on and promoted them without us even asking. He was so engaged we couldn’t help but take notice and when we did, we really liked what we saw! By repping Headwink he created brand awareness for himself. So the funny story is I actually started as a YouTuber. Because of vlogging, I attended my first comic book convention which was Wondercon in 2016. This lead me to find cosplay and at Stan Lee’s Comic Con 2016, I made my debut. 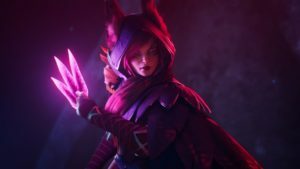 I started sharing some Cosplay photography on an older account and it wasn’t anything that serious for me yet. Then around March of 2017, I had a video go viral and became noticed as both a YouTuber and a cosplayer. Honestly, I would say start by shouting companies out. Anytime I pick up a new shirt, hat or some sort of cosplay related item, I love to go to my IG stories and shout the companies out. I’ll even take a selfie or make a post showing off the product as well as tagging the company in the post. I tend to do a lot of unboxings and reviews for products on my Youtube channel. Companies love people who talk about their products and how much they love them. Be consistent and loyal. I purchase a lot of clothing from ArsenicXCyanide and Viciouskill and constantly shout them out any time I wear the products. 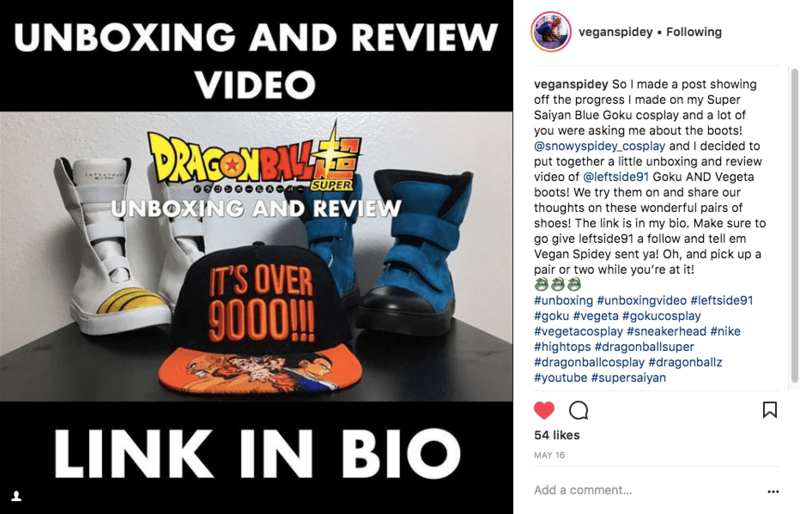 I’ve recently purchased shoes from leftside91 who specialize in Dragon Ball related merchandise and have shown them off with my Goku cosplay as well as done an unboxing and review video. When it comes to my Spidey suits I buy exclusively from ZentaiZone and do an unboxing and review of each and every suit. They see these things and they really appreciate it. Because of this, I’ve managed to obtain my own discount code with them and a small sponsorship. Sometimes companies will get a hold of you right away, other times it may take awhile. Some companies might not be ready for sponsorships, but will still take notice and give you shoutouts which can bring awareness to your profile from both brands and new followers. The more attention you have, the more brands take notice. (You create brand awareness for yourself!) It creates the opportunity to network and receive opportunities outside of traditional sponsorship, like being a guest at a convention, receiving merchandise, or even working closely with a social media company. All these things could then lead to paid sponsorships. When it comes to brands and sponsorships: see what other people are doing and learn from it. Most of all, don’t be afraid to google things and do some research! The algorithms on all social media websites are constantly changing and lots of times that can contribute to hitting a wall or a roadblock. Don’t be afraid to study and change things up in order to continue to grow. Be genuine. If you’re sharing a brand/company’s product don’t pitch it like an ad or salesman. Be you. I like to share the shirts or hats I wear on my stories and do a simple tag of the brand that I use. Sometimes you don’t need to make an entire story clip or post that goes “check out this merch! go buy it! 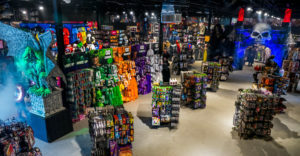 They have great deals and sales!”. Instead, do something along the lines of “Hey I’m hanging out at Anime Expo today. I’m rocking my ArsenicXCyanide Waifu hat because I totally want to fit in with the weebs!”. When you share something like that it seems more genuine then telling someone to go to a brands page and follow them or buy stuff from them. You show the world you’re a real person. 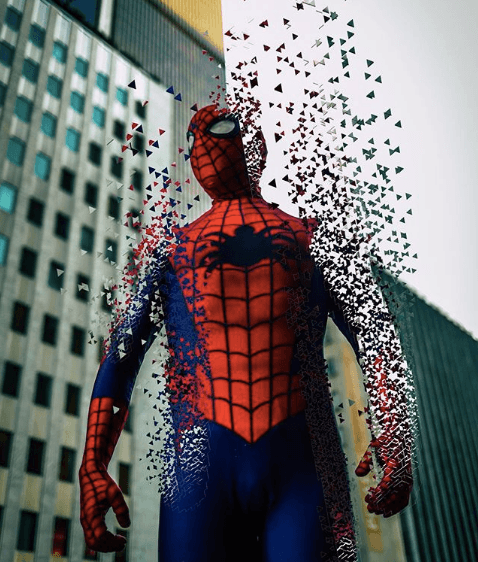 When it comes to my spidey suits on every IG post I make I simply mention the suit is made by ZentaiZone and now that I’ve got a discount code I throw it in the description. I don’t purposely build the post to solely focus on the brand. The minute you build your page and posts to focus solely on brand promotion and gaining sponsorship is the minute you start to lose your followers and become very “fake” and turn into a “salesman”. I’ve also mentioned this before, but be active and consistent. [Headwink: Create brand awareness for your personal brand.] This goes outside of typical brand promotion. People want to see your cosplays; people want to hear about what cons you’re going to; people want to know things about you like what games you’re playing or what music you’re listening to. Engage your followers, post regularly!